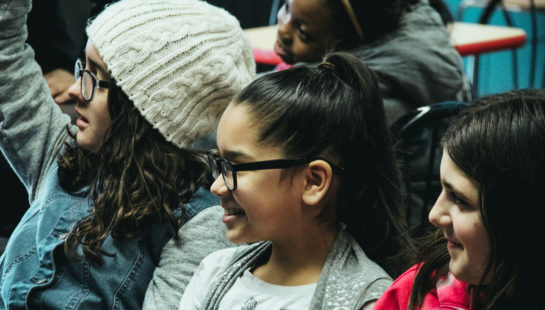 At New Beginnings our kids (infants - 5th grade) experience safe, age-appropriate environments where they learn about Jesus in a creative, fun and relevant way. Here's what to expect when visiting New Kids for the first time. First, find one of our New Kids check-in stations. 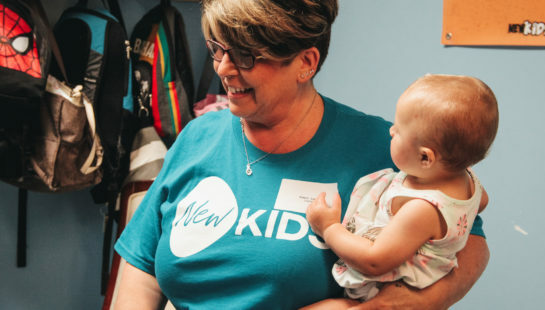 There we will meet your family, check your child into our system, and then one of our volunteers will lead your child to their age-appropriate room. You can check-in your child at any available check-in station. After finding your child’s name in the database, you and your child will be given matching name tags that are exclusive to your family and your visit. Your child will need to wear the name tag portion while you hold on to the matching tag. In the event that we need to contact you during the service, your child’s identification code will appear on the screens in the Auditorium. 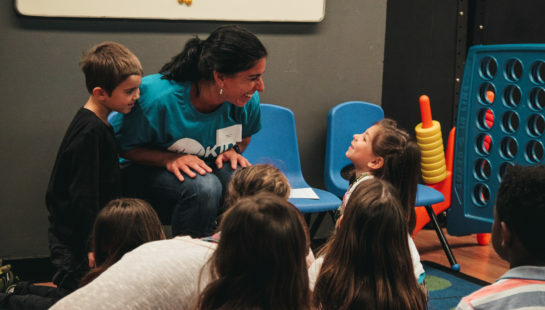 We ask that you exit the auditorium immediately and look for a volunteer who will direct you to your child’s room. After the service is complete, you will return to your child’s room and show your tag in order for your child to be released back to you. Your newborn / infant will be embraced by loving teachers who will provide tender care and Biblical encouragement during each class. Another goal of this class is to help transition each child into the Toddlers class. 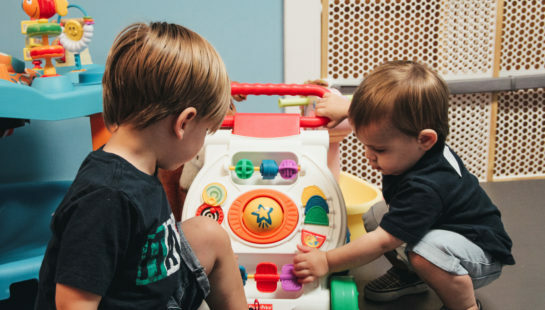 In the Toddler class, your little one will have a blast with toys, games, and age appropriate lessons that teach God's love and goodness towards us. Another goal of this class is to help transition each child into the Pre - K class. 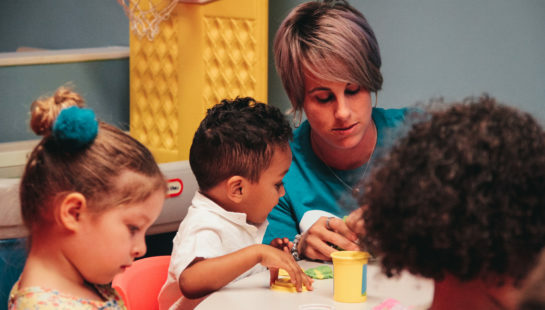 Whether they learn best by seeing, hearing or feeling - our toddlers class will present Biblical lessons and provide a fun atmosphere for your little one to grow in. Another goal of this class is to help transition each child into the K - 1st grade class. Our K - 1st class focuses on teaching kids one main point per week and incorporates videos and activities - increasing their ability to remember what they learned. Another goal of this class is to help transition each child to the 2nd - 5th grade class. Our 2nd - 5th class allows kids to learn with their peers and uses videos, small groups and games to emphasize how to build Godly character. Another goal of this class is to help transition kids into our New Youth student ministry. 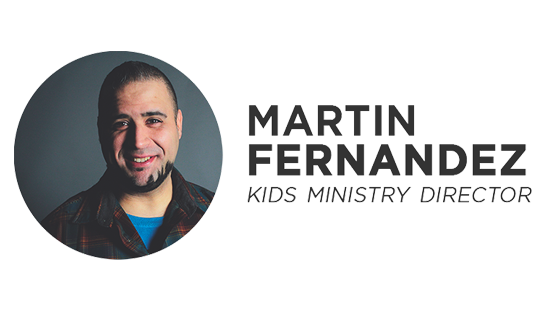 If you have further questions concerning our New Kids experience or visiting New Beginnings with children, simply click the button below and get in touch with Martin!